The Toyota GT86 has added another major accolade to its impressive CV – and has been named Performance Car of the Year by Auto Express. Affirming its position as one of the best driver’s cars available, the win follows the GT86’s first place position in the Auto Express performance car of the year group test in 2012, where it was hailed as ‘a very worthy performance car champion’ after outmatching competition from the likes of Porsche, Audi and Lotus. After the group test, Auto Express Senior Road Tester Owen Mildenhall said: ‘In an age when many performance cars filter your interaction with the road in the pursuit of meaningless lap time, the Toyota GT86 stands out. Drive on the limit, and you can feel the effect of every input from the steering, throttle and brake pedal. 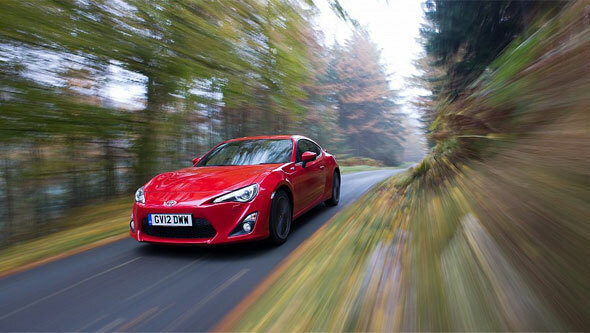 Read our GT86 reviews round-up here or see our other GT86 posts here.